“CC” is actually CS7, the successor to CS6 – and these new CC tools are available through the Creative Cloud only, via afford­able annual or monthly memberships (and not via high-priced perpetual licenses). Adobe is now focusing all resources on the Cloud and explains why in this Open Letter to Customers. So all full members of Creative Cloud will automatically receive all the new CC apps (including free upgrades from CS6 to CC when desired) – and everyone else can download and run the free CC trials, which are fully functional for 30 7 days (or possibly longer) per computer. If you’re not ready for the complete Creative Cloud right now and prefer just a single applica­tion like Photoshop CC, then you can get any standalone CC tool for $9.99 or $19.99 a month with what’s known as a Single-App Membership. Importantly, all CC products include ongoing upgrades at no extra cost, so you can always be running the latest and greatest version available. Also, these new CC programs are not web applications – they download and run locally on your desktop just like normal (on either Windows or Mac), and they do not require continual Internet access to use (just once every 3-4 months for an automatic online revalidation). CC will install and run alongside CS6, CS5, or any older CS versions with no problem – all of Adobe’s releases coexist independently and run side-by-side. If you decide not to sign on for CC when the trial period is up, you can just uninstall it and your older tools will continue to run – or you can easily convert your CC trial to ongoing use without reinstalling the software. 80% of customers are now buying Creative Cloud, which is getting nearly 5-star reviews – but for those who want traditional (perpetual) licensing instead, Adobe says they will continue to sell 2012’s CS6 release for an indefinite period of time (the CS6 free trials are also still available). However if you want to move up to the latest and greatest products, then Adobe is currently offering 40-60% discounted upgrade pricing to CC for all users of any CS tool going back to CS3 from 2007. Education customers also receive significant savings of 60-70% off the regular CC prices, for students, teachers, and staff at all levels of school. If you need to run CC on multiple computers for a group of users, then Adobe offers Creative Cloud for Teams for flexibility and ease of management plus 40% upgrade discounts from Creative Suite. Just like CS6, Adobe CC will open and load/import all of your older CS project and data files. And going the other way, most major CC applications will also be able to save back down (export) to CS6 file formats for compatibility and interoperability. Hundreds of new features in new versions of the tools you love, including Photoshop CC, Illustrator CC, InDesign CC, Adobe Muse CC, Dreamweaver CC, Edge Animate CC, Adobe Premiere Pro CC, After Effects CC, and more. 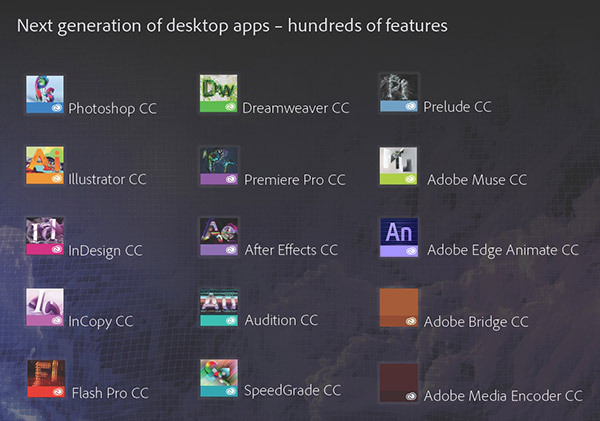 There are a total of 15 brand new CC desktop applications fully-integrated together in the complete collection. The new Creative Cloud Desktop App, which keeps your entire creative world in sync, organized, and up-to-date (replacing both the Adobe Application Manager and the Creative Cloud Connec­tion). 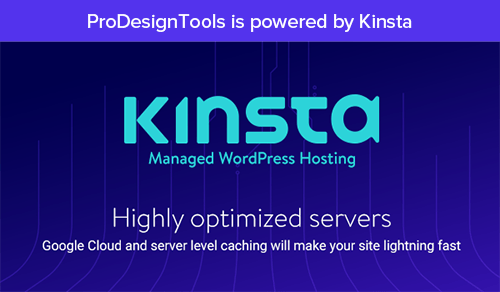 The ability to sync & restore your application settings (presets, brushes, shortcuts, workspaces, styles, fonts, colors, etc.) to Creative Cloud, so you can work the way you like on any of your computers – Mac or PC – and even run on two machines simultaneously. Integration with Behance, the world’s leading online creative community, with over 1.4 million members worldwide. The new Adobe Kuler iPhone app for capturing colors and making custom color themes. An update to Digital Publishing Suite, Single Edition, for publishing unlimited iPad apps to the Apple App Store. Over 200 exclusive new tutorials added to Creative Cloud Learn to help you get up and running quickly. The new Photoshop Lightroom 5. As a Creative Cloud member, all of these just-launched apps and services are available to you immed­iately. Just download and install the apps from your Creative Cloud account (com­pletely on your schedule), or use the new or updated services. You can also continue to access, download, install, run and use the older CS6 versions through the Cloud as needed, because CS6 and all major versions of CC will be kept in a permanent archive by Adobe and always available for download to all subscribers. File syncing on the desktop, including file versioning and private folder sharing. For now, you may continue to upload and share files via the browser, with desktop functionality and more features coming soon. Typekit fonts on your desktop. Quickly find the perfect fonts in the growing Adobe Typekit library, sync them locally to your computer, and have them immediately available for use in any desktop application. Full Creative Cloud members will soon have access to over 700 fonts (worth over $20,000 if purchased separately), installable with one click. Automated web graphics export from Photoshop CC, as tipped off at the MAX conference. A Creative Cloud app for Apple iOS to keep your entire creative world in sync and organized – on the go. Projects Mighty & Napoleon – a cool new hardware cloud pen and a digital (“short”) ruler, integrated with Creative Cloud. Are there any plans to ofter direct download links for the trial? Hi Daniel, nice to see you again… Yes, we are working on it! Hopefully tomorrow we’ll have that out. Hi guys, thanks for the great post. I have been having the CS6 vs. CC all week. I am just starting my web design degree and can’t decide which way I want to go. The one thing I don’t like about CC is that if I were to pay for a subscription for say 10 years, and then decide to stop the subscription, I no longer have access to use the software. I feel like I am being asked to spend money on something that I don’t own. Any advice or opinions on this topic?! 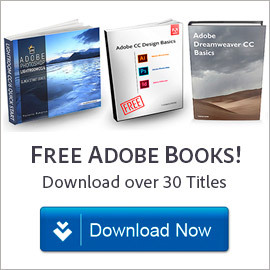 Compare Creative Cloud vs. Adobe CS6 – Which Should You Buy? Glad to help Daniel. Adobe has changed things up a bit plus added some new things, so right now we’re looking into the CC direct download links… and will update and post soon. In the meantime, they have definitely improved things with the new Creative Cloud Desktop App – which appears to be a better downloader than the previous (and now discontinued) Adobe Application Manager. do they think sysadmins have no better things to do? For that product it is possible and easy to download what you want once (a custom bundle of whatever applications you wish to deploy) – and then create a package (with the Creative Cloud Packager utility) to roll that out over your entire organization, with central control of any new installs or updates, managing/reassigning user licenses, centralized billing, etc. Is CS 6 still available as fully-owned software? Hello Jeff, thanks for your question. Yes, for those who want the traditional model instead, Adobe says they are continuing to sell and support the CS6 version indefinitely (either full or upgrade) – and here it is on their site, still available for purchase. but it is not yet available…. Not true – both Creative Cloud for Teams as well as Creative Cloud for Enterprises (large business/government/education) are here and available now. OK, much requested, so here they are! I would like to upgrade my Creative Cloud CS6 products to Creative Cloud CC. I am doing so on a limited-space SSD drive so I was wondering whether there is a recommended procedure to uninstall / remove legacy (CS6) applications? Yes, definitely Steve – first uninstall each application or suite as normal through your operating system interface (Windows or Mac), and then download and run Adobe’s Creative Suite Cleaner Tool to make sure everything is removed. You may wish to leave your tool preferences behind though for CC to pick up when it installs. Then either upgrade to the Creative Cloud with the discounted pricing, or simply start a CC free trial. Any idea where the InDesign Server CC is gone, when it will be published, where trials and documentation can be found? If you go to Adobe’s site, they still list the InDesign CS6 Server as current (and you can download it here). So this seems to indicate that there will be an upcoming version for InDesign CC Server, but it is simply not out or available quite yet. 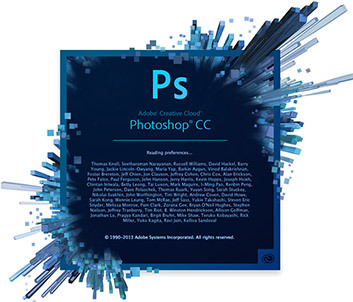 Do I have to have any CS version of Photoshop to use CC? I got a new computer and can’t find my CS3 software. I was thinking about getting CS6 but I’m interested in the CC and I was wondering if I need to get CS6 to use CC. No, not at all John. They are completely independent releases and you don’t need one to buy another. You can just purchase Adobe CC directly regardless of whether you own a previous release or not. If you do own a prior CS version (any tool or suite), then you can get a 40% discount on your first year of membership, worldwide. But, it is definitely not required. Lastly, if you just want Photoshop CC by itself (or any other CC app) rather than the complete Creative Cloud with everything that’s in that, then that’s available standalone for $19.99 a month. I am running CS5 on my desktop, and a trial version of CS6 on my laptop which I use when travelling. Both have Lightroom. Am I able to install to both devices from one subscription to CC? 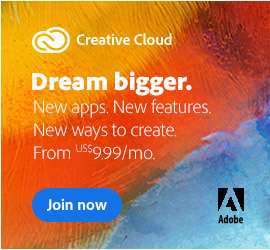 Yes Steve, once you’re a Creative Cloud member you should be able to install Adobe CC on up to two computers of any kind, and easily move it between machines if ever necessary. You can run CC together on the same systems as earlier releases (side-by-side if desired), including previously-purchased perpetual versions of CS. I bought a new computer and I have not been able to install CS2 . I went online to recommended site to try to download it but still was not successful. Can’t afford an upgrade now. Any suggestions? Love the software. Hey there MJ. Well, according to Adobe: “CS2 was released over seven years ago and does not run on many modern operating systems”… So that’s out of our control and we are not sure what more to tell you about it. As mentioned above, you can try Adobe CC for free and then the monthly subscriptions are pretty affordable especially if you can get the student & teacher discount, or are upgrading from an older CS version going back to CS3. If you want just a single standalone tool like Photoshop CC, then it’s as little as $9.99 a month (instead of the $1000 full price that Photoshop CS6 Extended cost). What is the CC price if all one wants is the upgrades-updates? But without the cloud storage for CS4? CS6 users? 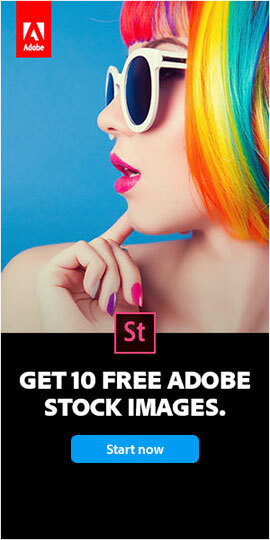 Does one get the other 20+ Adobe products if one owns just CS6? 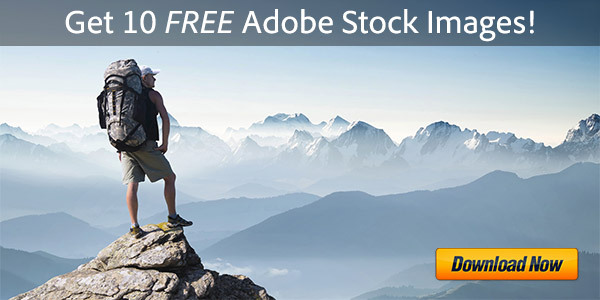 What happens to Adobe Elements? Will it be updated to Elements 12? If yes, when? How often does one pay the fee? Hello Bob, all full Creative Cloud subscribers receive complete access to all tools in both the Adobe ‘CC’ release (with all its new features) as well as last year’s CS6 version. You cannot, however, purchase CC ‘just’ for upgrades (it comes full) and/or without the cloud storage – but you don’t have to use the online storage if you don’t want to. Payment for the Creative Cloud is typically monthly even if you have an annual plan for the reduced price. As for Photoshop/Premiere Elements 12, we expect a new release during the back-to-school period in late September, as has been the case in the past… However, no one can say at this time what new features or changed might be in PSE 12 or PRE 12. I’m on a Windows 8 laptop and can’t seem to get past that point. Any help? However, if you just want to quickly get any of the CC applications to download and install then you can actually do it without the Creative Cloud Desktop App by using our Adobe CC Direct Download Links here. Hi there. Is it still possible to buy a perpetual InCopy CS6 licence (preferably a Student/Teacher version)? If so, how? Thanks very much. Yes Ben, it is still possible to buy a traditional version of InCopy CS6 standalone – Adobe continues to sell CS6 here. However, there is/was not a separate student/teacher edition for that product available; customers can only purchase the regular commercial release of InCopy. Yes, you have to click through on the right of the page we linked to get to the Adobe CS6 Store where you can buy it… InCopy is on page 2. I’m going to do scan and production with Photoshop for Comic Book freelance inking and then posting to server. Also, I use Photoshop while working as an Art Facilitator for the disabled at a Hospital/School so they can create their own art. The Photoshop Photography Plan is great. I like it. I want to do it. I want to join the cloud, but not without a 1-year subscription. When will Adobe offer 1-year prepaid subscription for the Photography Program, the same way it does with CC? It would be nice if Adobe could do it right away. After all how hard is it to include another option on their website for the guys who designed Dreamweaver, and Photoshop? The Single-App Plan is expensive and as it right now, does not make much sense for me. When will Adobe reduce the price for people who don’t have need for the full thing but need to use one other app? To make it more interesting, some people may need just a couple of apps. Hi Polo, good to see you again. As you know, Adobe now offers a prepaid option for most CC plans (where you pay once upfront instead of monthly), though not yet for the $10 PS+LR Photography Program as you point out. We haven’t heard anything about this changing, but will be sure to post a new article here on the site if there’s any news about it. I ran out of my trial version of adobe premiere pro cc before I could export to an older version and need the file for a project that i’m doing for class. Is there any way possible to open the file in cs6 or have someone at adobe convert it for me? — Are Adobe Creative Cloud (CC) Files Backwards Compatible with CS6?